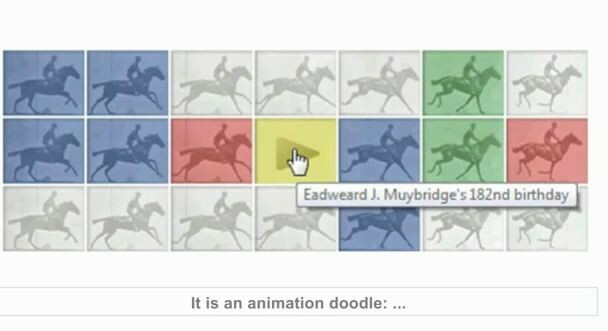 Eadweard Muybridge, who is one of the primary figures discussed in Chapter 2 (Inventions and Origins) of Moving Images, is being honored today with his own Google Doodle. And it’s a great one! Among my earlier posts, you can find a piece about how filmmaker Steve Salter did a great high school documentary animation project that incorporated Muybridge’s iconic image of a horse jumping.